Hotel bars have come quite a long way. Only a few years ago, hotel bars were there for the exhausted business traveller, ready to have a night cap and call it a night. People were not too keen on utilizing the hotel bar, especially because it was always so generic and unwelcoming. This is not the case anymore. Hotels are doing their best to create a culture around the bar area, attracting more outside customers who are not staying at the hotel. This drives up business and also makes guests feel like sticking around to socialize and enjoy the environment. Full length hotel bars are beginning to take a leap out front. This is mostly occurring in more urban areas where the population is bigger such as New York City, Washington D.C., etc. What’s the reason? We think it’s because hotel bars are now attracting clientele that is not staying at the hotel as well as current guests. This is incredible because there was a huge disconnect with this clientele in the past and it seems that hotels have start to figure it out. Getting business from guests and others is what all hotel bars wish to achieve. 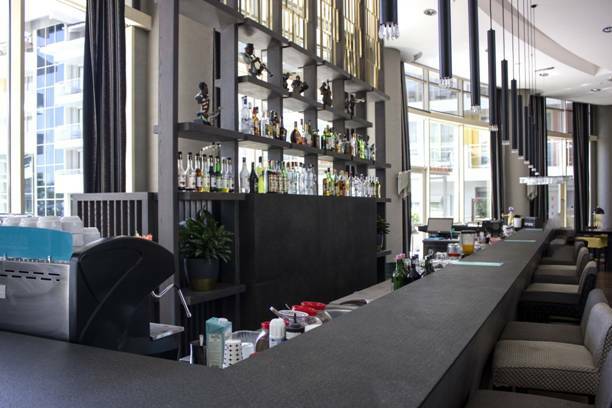 Large, full length bars are built to handle larger crowds and high-end crafted drinks. 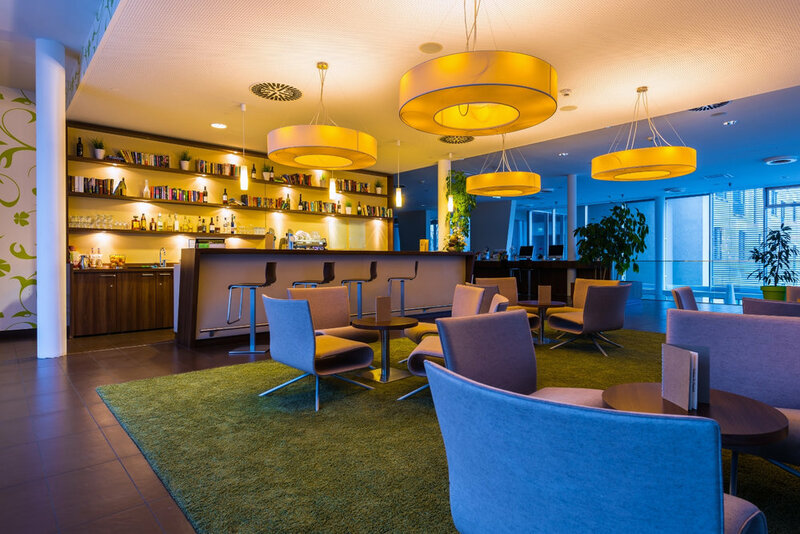 This might seem a bit obvious, but some hotels do not wish to commingle the bar area and the lounge area. Sometimes this has to do with the clientele, but for smaller more family oriented hotels, this is the perfect combo. Adults usually need a cold one (or two) after a long day traveling with children, but might not want to leave the kids upstairs in the room. The combo let’s the kids come to the bar area without having them sit at the bar. It’s the perfect situation for parents and kids. It’s also good for a more professional business meeting. Not everyone likes to sit directly at the bar, so having a more lobby sitting option is for the best. This is a personal favorite hotel bar option of ours. It’s perfect in the Spring and Summer, sometimes longer depending where the hotel is, and can be closed off for the cooler times of the year. Open outdoor seating that can be converted into indoor seating is the appealing to all parties. It’s the ideal situation for a celebration like graduation, bridal shower, birthday party, etc. because it caters to everyone’s needs. Although you can’t always please everyone, this option is probably the closest you’re going to get when it comes to a hotel bar. This is such a desired style of hotel bar. People that want to go to a rooftop bar don’t realize it, but the majority of the time, that bar is owned by a hotel. Guests that aren’t staying at the hotel have second dibs most of the time, so staying at the hotel with the rooftop bar has its perks. From business meetings, to casual dates, to bachelorette parties, this bar style is one of the most craved in the world. At this point we would be surprised if it is the number one bar style that people want to try, maybe a close call with a speakeasy! Older PostDesign and Function: Why is Function in Hotel Design So Important?